The old part # BLW00732 has been phased out by the vendor and is replaced with one of (4) kits that will require changing the Inducer, the Control Board, the Inducer limit switch, and the wiring harness. All these parts will be in these kits. These kits should only be installed by qualified individuals! 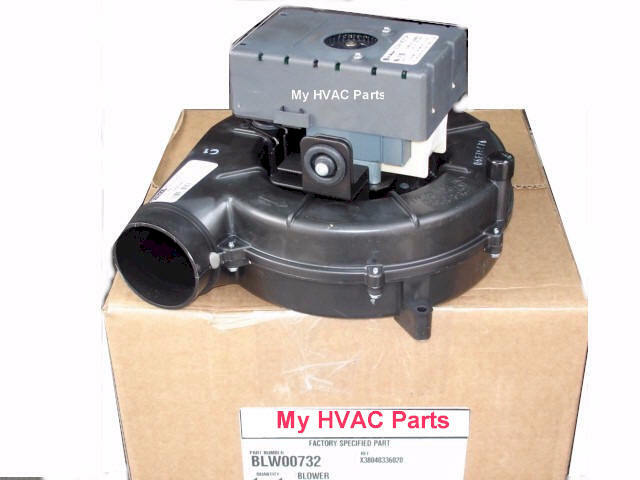 Trane XV90 Inducer BLW00732 which is now obsolete see photo of new kit. 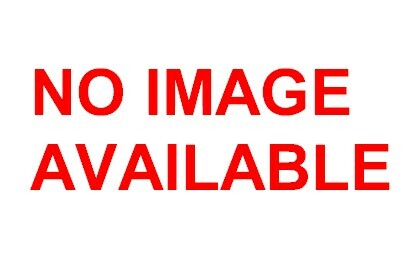 This is what the old Inducer looked like. This is the new kit that you will now receive. 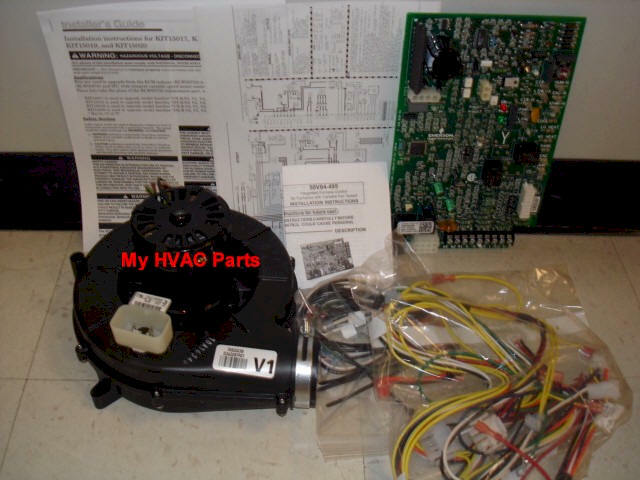 This kit is used to upgrade Trane and American Standard furnaces. The first letter will be an "A" for American Standard or a "T" for Trane. The last (2) digits will be a series of "V" or "W" depending on your furnace model. Upgrades Models: UY-R-V0, V1, V2, V3, W0, W1, W2, AND W3. 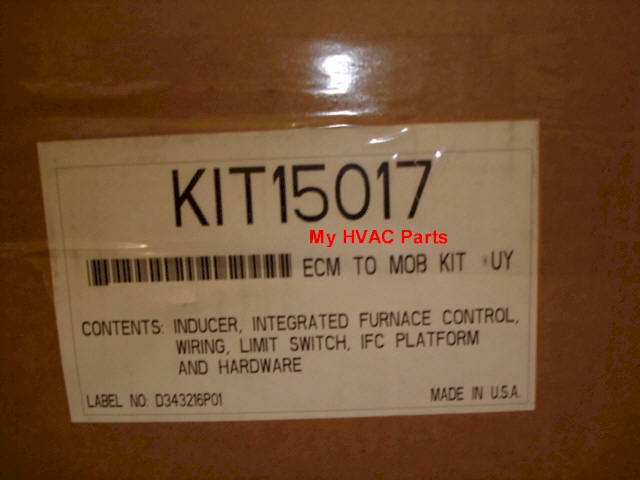 This kit replaces old part number KIT15019 and is used to upgrade Trane and American Standard furnaces. The first letter will be an "A" for American Standard or a "T" for Trane. The last (2) digits will be a series of "V" or "W" depending on your furnace model. Below are shots of what comes in the KIT16582. 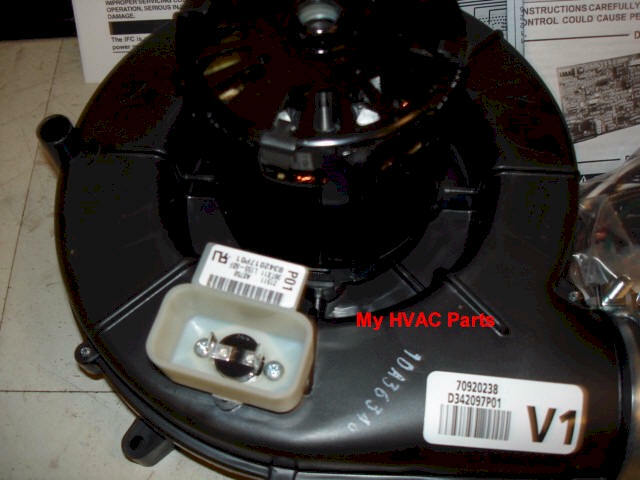 The other kits are similar but include different part numbers which apply to the particular furnace Model numbers. 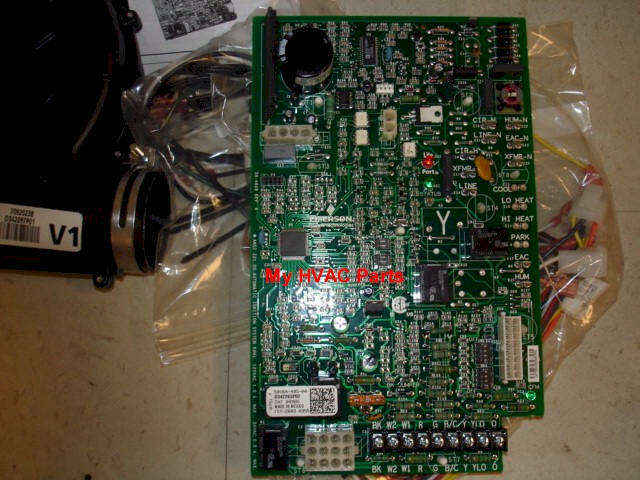 Included is a new upgraded Inducer BLW00879, a new IFC Control board CNT04984 or CNT04985, an Inducer limit SWT02685, a metal mounting plate, several wiring harnesses, various wiring decals to be applied to the equipment when the retrofit is complete and all installation instructions from Trane.